Today in the United States is National Former Prisoner of War Recognition Day on this, the 75th anniversary of the Fall of Bataan in the Philippines, 1942. Seventy five years ago the grim news was announced, that the Fil-Am forces resisting Imperial Japanese aggression in Bataan had fallen after an epic military campaign lasting some four months. It was the largest single surrender of American military personnel in U.S. history. But the service and sacrifice of those brave men and women will be an eternal inspiration for these who fight for freedom. Their blood, tears and sweat are a painful reminder that freedom isn’t free. For even as the military campaign on Bataan ended on 9 April 1942, the infamous Bataan Death March then began. For those who would survive the subsequent years of brutal captivity, we owe a great debt. So on this National Former POW Recognition Day 2017, on the 75th anniversary of the fateful end of the Bataan Campaign, let us render a hand salute to those men and women who served and sacrificed as a POW for our country. These former captives deserve our recognition and appreciation. It is April 9th, 2016, the 74th anniversary of the fall of Bataan, which was the largest surrender of US troops in history. But they did not surrender in shame, as the Fil-Am armed forces in the Philippine Islands had fought the good fight. This year Philippine President Benigno S. Aquino III is to serve as guest of honor in the annual commemoration of Araw ng Kagitingan at the Mt. Samat Shrine. This marks the sixth and last time he will addresses war veterans as the head of state. In the United States, this day is also commemorated, in what is called National Former POW Recognition Day. It is declared so by presidential proclamation (see reference below). It is perhaps not as well known in America as the annual POW/MIA remembrance in September each year and maybe confused with it. Nonetheless it offers an annual opportunity to remember all those taken captive at Bataan, as well as the other conflicts America has engaged in. To the veterans of Bataan, to those who fell in battle, or expired on the infamous Death March, or died in miserable POW camps, or while aboard the hellships or in destitute slave labor, we render a hand salute! And the same honor to all those who fought on Bataan and survived all that came after to return home, a hand salute! Thank you all for your service and sacrifice for freedom! And Did! Of the pre-war US Asiatic Fleet, few vessels stayed in Philippine waters after Imperial Japanese forces destroyed much of the Far East Air Force’s fighter planes in the first days of the war. The lack of suitable anti-aircraft gun capabilities could neither prevent Japanese air attacks from altitude. So the major units had to find safer waters. By the beginning of the Bataan Campaign in January, 1942, the much reduced naval forces were confined to the greater Manila Bay environs. Vessels such as USS Canopus and the PT Boats of Motor Torpedo Squadron Three are fairly well known in the campaign, but there were other ships that contributed to the Fil-Am defensive effort. One of these little known vessels was the USS Napa, a Bagaduce-class fleet tug. The tug was 157 feet long, 30 feet wide and displaced 998 tons at full load. As built her armament consisted of two3-inch guns. She was built in the Puget Sound Naval Shipyard at Bremerton in Washington State in 1919. Napa served at Guam for ten years, until she was decommissioned in 1929, and placed in reserve at Olongapo Naval Station, Philippines. Some ten years later, as the clouds of war thickened, USS Napa was recommissioned on 15 August 1939, and resumed service as part of the Asiatic Fleet in the Philippines. In the period immediately before the war, from 8 October 1941 until 14 December she was busy emplacing anti-torpedo nets around Mariveles Bay at the south end of the Bataan Peninsula. Though untrained in netlayer duties, the crew of 40 which included eight Filipinos, less than the complement of 60, under the command of Lieutenant (LT) Minter Dial (USNA 1932), completed 95% of the designed placement of these nets, only held back from completing the project by the destruction by Japanese air attack of materials at Cavite. On 19 December, Napa reported for duty as part of the Inshore Patrol, 16th Naval District. Based at Mariveles, Napa performed a variety of missions that included net tending, various duties around Bataan and Manila Bay which included coastal patrol, towing, salvage and net tending. One source indicates she laid 13,000 mines in her Philippine service, though it is not clear over what time period this was accomplished. Her armament was augmented by at least one .30-caliber Lewis machine gun. During her Bataan Campaign operations, Napa had ample opportunity to engage enemy aircraft, and according to Chief Petty Office William “Gunner” Wells (who retired as a Commander), she had ten confirmed aircraft destroyed and four probably destroyed to her credit. 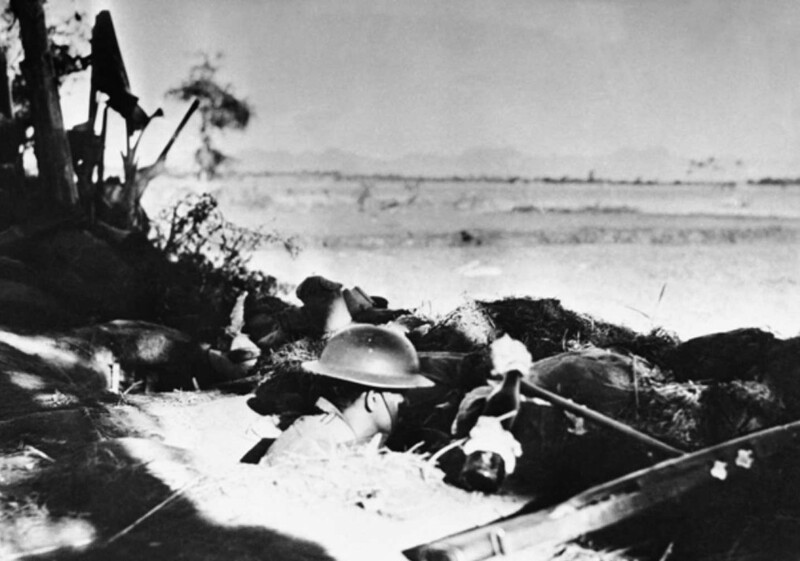 As Bataan was about to fall on 9 April 1942, Napa’s position was deemed untenable. With all enemy forces about to concentrate on Corregidor, there was literally nowhere to run, nowhere to hide for Napa, and she was ordered to be scuttled. Her crew did so after transferring provisions, small arms and belongings to Corregidor, there to become part of the US 4th Marine Regiment and the defense of that island. The brave vessel and crew received one battle star for their participation in the Philippine defense of 1941-1942. Of note, the US Navy commissioned a second Napa in World War II, APA-157, a Haskell-class attack transport built in Portland, Oregon and commissioned 1 October 1944. This Napa was 455 feet in length, 62 feet in width and displaced just over 15,000 tones at full load, much larger and greater than the tug Napa. She received one battle star for her service during the Iwo Jima campaign of 1945. Like her predecessor, Napa also reached the Philippines in her service, arriving in mid-September 1945, from which she transported troops for occupation duty in Japan, as well as other former Japanese-occupied territories in the Far East. It was perhaps a rather fitting end to the USS Napa saga in the Pacific War. As December 25th, 1941, unfolded on Bataan, it was a somewhat chaotic scene, with myriad units making their way into and around the peninsula as the Fil-Am Army hurriedly implemented the WPO-3 war plan. On Christmas Day the Far East Air Force had but 16 P-40 and four P-35 fighters remaining operational in the Philippines. Air Force units from Fort McKinley, Nichols Field, Nielsen Field in the manila metro area and Clark Field in central Luzon rushed to get to Bataan, as did their Army counterparts. In their haste and the absence of direction and guidance, units took to the road with whatever they thought might help Bataan operations. Destruction of gasoline and bomb stocks at Clark Field began on Christmas Day, even though there were no Japanese forces in proximity to the field – the Japanese did not arrive until January 2. With the unexpected implementation of WPO-3 amidst the mounting pressure of a Japanese invasion driving towards Manila from north and south, things in the US Army Forces Far East (USAFFE) were a bit disorganized, to put it mildly. “It was Christmas 1941. I was in a little town called Hermosa on Bataan in the Philippine Islands. The night before we had retreated from Clark Field, and before we left we made sure we had all the trimmings for a real Christmas dinner. The cooks had worked through the night and morning preparing the meal, and just before the meal was ready, a Jap bomber had dropped part of his bombs in a water buffalo wallow right next to the kitchen. No one had been hurt but it sure ruined our Christmas dinner. My Christmas dinner consisted of a handful of prunes and a piece of cheese. That night I walked back up the road toward Manila, and off to the right was a mango tree with a swarm of millions of fire flies over, under, around, and through with none over two feet from the tree. I stood for quite awhile and admired the work of God. It sure made a wonderful Christmas tree. To the readers of this web log, a wish for a Merry Christmas and a Happy New Year as we strive to remember and honor our heroes of Bataan. May we all stop for a moment in our busy lives and behold God’s creation around us, and remember with thanks His precious gift to us. One of the outstanding leaders and heroes of the Bataan Campaign was William Edwin “Ed” Dyess. He served with distinction and honor in the early days of the Philippine Campaign, on the ground and in the skies over Bataan, survived the Death march and his imprisonment on Mindanao, and escaped to bring out the news of the Death March. As the war began, 1st Lt. William E. Dyess was the Commander of the 21st Pursuit Squadron at Nichols Field, the “Parañaque Sinkhole” just south of Manila. Dyess had arrived in the Philippines with his squadron on 20 November 1941, half-strength with 13 pilots only, the rest to be sent later. In the next two weeks another five pursuit pilots were attached to the 21st from other squadrons. Although 10 of the original pilots were recent (1941) pilot training graduates, they had some hours in P-40s from their time at Hamilton Field, California. He had been told P-40E’s would be awaiting him but the aircraft hadn’t arrived yet. Nearly a week later, the 21st received pursuit planes, some worn out P-35s from the 17th Pursuit. Finally, on 4 December the squadron received 10 new P-40E’s, and on 6 December another 10, with two more to follow on 8 December. It took a lot of work to get the new aircraft into service, as none had been flown more than two hours, not enough to meet the slow time requirement for breaking in a new engine. In addition, armament had to be installed, after the machine guns were cleaned of the Cosmoline they were shipped in, installed, and then the weapons boresighted in the aircraft. It was a tall order, working all this literally hours before the war began. Scant days earlier, on 6 December, the Commander of the Fifth Interceptor Command, Col. Harold H. “Pursuit” George, had given the Nichols pursuit pilots his war talk, warning of impending hostilities within days, maybe even hours. A brash young 21st pilot, Sam Grashio, bet his squadron CO Ed Dyess ten pesos that there would be no war. It didn’t take long for him to lose that bet. The first day of the war, 8 December 1941 in the Philippines, would be a long one for Lt. Dyess. Japanese reconnaissance aircraft off the west coast of Luzon were detected by the radar at Iba Airfield in Zambales and thought to be headed for Manila. This triggered an 0200 alert and the squadron’s pilots were roused from their sleep by the duty officer. They assembled at the 21st’s Operations tent and held there about ten minutes before being dismissed. After that alert was cancelled, they went back to a fitful rest. Barely two hours later about 0400 they were awakened again, as news spread that Japan had attacked American bases in Hawaii. Pilots again responded, and the 21s t dutifully manned aircraft at one end of the Nichols runway opposite Buzz Wagner’s 17th Pursuit Squadron also on alert. With no more than three hours flying time on any of the squadron’s P-40E’s, the 21st started aircraft engines, waiting for a signal to take off, a vector to intercept inbound enemy aircraft. But there were no commands and the engines were shut down. Though little-experienced, there was no lack of willingness on the part of the young pursuit pilots to engage the enemy, as would soon be shown. The squadron had readies 18 of its P-40E’s for action that fateful morning. After a restless morning, at 1100 Dyess called his pilots out of the cockpits of the fighters to the operations tent, where they lunched on sandwiches and Coca Cola iced in a tub. At 1145 the phone rang and Dyess picked it up – Nichols base communications had received a radio signal for the 21st Pursuit “Tally Ho, Clark Field!” Dyess scrambled his pilots into action and led Flights A and B with 12 P-40Es, while C Flight was delayed a few minutes by some aircraft engine issues. C Flight did get off, but could not locate the other two flights of the squadron, and headed east over to nearby Laguna de Bay to test their .50-caliber machine guns, which had not been fired yet, by flying low over the lake and shooting them into the water. In the process of accomplishing this, two of the aircraft started throwing oil which marred their windscreens, and these two aircraft of the flight subsequently returned to Nichols. The new engines had not been properly broken in yet. Passing just north of Manila enroute to Clark, Dyess was aiming for 24,000 feet when he received radio orders to position his squadron over Manila Bay in between Corregidor and Cavite, to protect Manila. Meanwhile the four remaining aircraft of C Flight, now lead by Sam Grashio and mechanically sound, headed up north from Laguna de Bay to Clark on their original orders, not having received the update. Around 1230, as Dyess patrolled over Manila Bay with 12 aircraft, Grashio reached a quiet Clark Field and circled. After a few minutes they spotted a formation of six aircraft west of Clark, headed for the East China Sea and in the quiet beneath him and the absence of any orders went to investigate – they turned out to be P-40E’s from the 3rd Pursuit Squadron returning to Iba. The 24th Pursuit Group’s response directing pursuit operations against the Japanese attacks of 8 December 1941 was anything but efficient and effective that dastardly day. At 1235, enemy bombers were sighted approaching Clark Field, unfortunately unopposed by any P-40s. The bombers went to work pummeling Clark. Grashio and his wingman returned to the Clark area about 1239 to find chaos. After the bombers attacked, their escorting Zero fighters descended to strafe targets of opportunity on the field. Unfortunately Grashio only had his wingman, as he was inadvertently separated from the other two aircraft in the flight. Grashio attacked one strafer and made hits, and then his wingman sighted another nine Japanese A6M Zero fighters passing by and the two attacked the tail end of the formation. Before they could complete their attack, Japanese fighters from the front of that formation had already pitched back into climbing turns and were firing at the American attackers. Grashio’s aircraft was hit and damaged, and both pilots put their aircraft into dives to get away from their pursuers, successfully separating from the fight and each other in the process. Both then decided to return to Nichols Field. Meanwhile the other two members of C Flight went into action against the Japanese strafers, but soon one of them also had an issue with the engine throwing oil and obscuring the windscreen, and broke off from the engagement to return to Nichols. In the confusion of the day, Dyess and his men dutifully patrolling over Manila Bay were misidentified by naval personnel as enemy aircraft and taken under fire by Navy gunners at Cavite. After a fruitless patrol, and with no other orders coming from the 24th Group, Dyess returned to Nichols. The four C Flight pilots who went up to Clark returned after that. After the devastating attacks at Clark and also at Iba, which fairly well destroyed the 3rd and 20th pursuit squadrons too, Ed Dyess’ 21st and Buzz Wagner’s 17th pursuit squadrons were the remaining P-40 squadrons in the Philippines at full strength. At 1730 hours Dyess and Wagner were ordered by HQ Far East Air Force to move their squadrons up to Clark Field. Headquarters apparently thought the airfields in Manila would be targeted next – that night the Japanese made a raid against Nichols, as things turned out. The 21st flew 18 P-40E’s up to Clark, leaving four behind at Nichols – the three that were throwing oil and Grashio’s battle-damaged ship. Smoke was still rising from fires at Clark, but the 21st managed to set down OK on what undamaged areas there were, though they had to space out the time between landings due to the dust clouds raised as each aircraft set down. Dyess found the group HQ in the jungle near the field and received his orders, to be ready to cover the arrival of B-17s from Del Monte, Mindanao, planned for early the next morning. He and his men then found something to eat, a place to sleep for the night, far away from home, removed from their own base and billets, and now literally in the jungle and at war with Imperial Japan. Things would not get much better for Ed Dyess and his men after day one of the war or in the Bataan Campaign. But his exploits would become legendary, and his example inspiring to many. Even many years later, the memory of Ed Dyess resonates with bravery, service and sacrifice. In the 1950s, Dyess Air Force Base in Texas was named after him. A replica of Lt. Col. William Dyess’ P-40 Warhawk, named Kibosh, was installed at the front gate of Dyess Air Force Base in his memory. And earlier this year Ed Dyess received an honor from his home state of Texas, the Texas Legislative Medal of Honor for 2015, bestowed on him posthumously on 30 April 2015 in Austin, Texas, and awarded by Texas Governor Greg Abbott on 26 August 2015. Of note, Chief Petty Officer Chris Kyle, the American sniper, was also posthumously awarded the medal on this day. May the memory of Ed Dyess always be remembered and honored, for his leadership, service and sacrifice, on the first day of the Pacific War, on Bataan and beyond. His was an example for all of us to be encouraged by. As we in the United States gather with family and friends to celebrate Thanksgiving Day, we remember with thanks the service and sacrifice of the soldiers, sailors, airmen and Marines, and civilians too, who served during the Bataan Campaign. Thanksgiving Day, 1941 – eyes on the turkey! The closest thing the Fil-Am soldiers on Bataan had to Thanksgiving was Thanksgiving Day 1941, on Thursday, 20 November 1941. Thanksgiving was a familiar feast in the Philippines at that time, brought to the islands by American military personnel and first celebrated there on 24 November 1898. In 1935, the Commonwealth of the Philippines was established, and President Manuel Quezon continued the tradition of celebrating Thanksgiving in November. The observance continued until the war broke out. But the Thanksgiving of 1941 in the Philippines was not what might be considered a typical friendly celebration. Some referred to it as “Franksgiving,” in derisive protest of President Roosevelt changing the observance from the fourth Thursday to the Third Thursday in November, ostensibly to put more days between it and Christmas in pursuit of the almighty shopping dollar. Added to that, the tremendous flow of new units, men and material into the Philippines, as America desperately tried to build up forces there before the outbreak of hostilities, swamped resources. Tents cities were being set up at various bases to try and handle the influx. On the morning of Thanksgiving Day itself, two US troop ships arrived in Manila, the USS President Coolidge and USS Hugh L. Scott. They brought aboard them over 2.700 officers and men of a number of units, such as the 192nd Tank Battalion (with 55 M3 tanks), 27th Bomb Group (without aircraft), 21s t and 34th Pursuit Squadrons, etc. The transport USS Hugh L. Scott. She was later sunk by a German submarine during the invasion of North Africa, November, 1942. Troops of the 192nd Tanks Battalion traveled by train up to Fort Stotsenburg, where many were able to enjoy a Thanksgiving meal. But some of the newly arriving soldiers did not. As hundreds of troops arrived, the Thanksgiving fixings became scarce. One of the soldiers arriving, Albert L. Allen, Jr. of Company C, 192nd Tank Battalion, remembered how he wound up eating beans for supper that night. Private Tenenberg got hot dogs, and Private Abel F. Ortega scrounged for a piece of bread with gravy on it. Some of the newly arriving troops were lucky enough to partake in the shipboard meal as it took a while for all the units, personnel and equipment, to disembark and offload. Over on the USS President Coolidge, John H. Poncio of the planeless 27th Bomb Group remembered “We arrived in Manila on Thanksgiving Day and had turkey and all the trimmings on board the ship.” It seemed the Thanksgiving meal blessings fell hither and yonder. Thanksgiving resumed celebration in the Philippines beginning in November, 1944, proclaimed by President Osmena. It continued to 1965 but then ran afoul of politics during the Marcos regime. In fact, in 1972, he established martial law and moved Thanksgiving to 21 September 1972, on the same day! This conflation left a bad feeling with many people, and when Marcos was deposed in 1986, Thanksgiving went away with martial law and hasn’t returned since. So when you sit down with family and/or friends for your Thanksgiving meal, remember a prayer in thanks to the Fil-Am patriots of Bataan, and all the Filipino and American patriots who serve to defend the freedom of our nations.